While one can read recent works by respected academics such as Victor Davis Hanson, Thomas Sowell, and Walter Williams regarding modern Leftist speech codes, thought police, white privilege and other assorted and dangerous nonsense, I want to make the effort here, at the risk of using a Leftist term, to likewise show how truly regressive the modern Left is when it comes to simple reason and our freedom to think. Background. During England’s tumultuous 17th Century, the freedom to use one’s reason to sort out man’s relationship to God and country emerged in a whirlwind. This freedom collided with Stuart monarchs who asserted an ages-old divine right of kings to absolute rule. Wrapped within the king’s power structure was the Anglican church, headed by the king himself. Through these institutions, rule by divine right and a state sponsored church, an illiterate society could be rendered temporally and spiritually submissive. Except, society was becoming less illiterate. In the century leading to the Glorious Revolution of 1688, England witnessed a spectacular expansion of educational opportunities. From high to low, from the growth of universities and Inns of the Court to endowment of more and more grammar schools, basic literacy was available as never before. Enter the King James Bible. 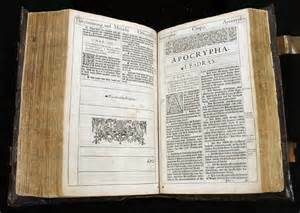 Its publication in 1611 brought the word of God within the reach of Englishmen everywhere. With Bible in hand, men began to believe they could find God themselves, with little or no need for auxiliary assistance from government sanctioned clerics. Today, we can hardly exaggerate the importance of the Bible in the English language. In ever-increasing numbers, laymen found the courage to interpret scripture for themselves, and noticed that all men were equal before God. If men are equal before God, are they not equal amongst themselves? As treatises, pamphlets, and preachers encouraged rational inquiry into the word of God, man’s natural curiosity led him to the classics of Aristotle, Polybius, Stoics, etc. Classical learning and the rise of empiricism, meaning the search for knowledge through the scientific method, grew together and fed an atmosphere which soon challenged the divine right of Kings. As the first Stuarts continued to assert divine right, their subjects increasingly regarded them and the established Anglican Church as standing in the way of true religion. Whether one found true religion in the beliefs of Seekers, Ranters, Muggletonians, Quakers, Anabaptists and ever more sects, the cap was blown off the fountain of God-given reason by the King James Bible. From this fountain of reason emerged demands for political liberty. Agreeable to the Law Eternal and Natural, and not contrary to the word of God; For whatsoever laws, usages, and customs not thus qualified, are not the law of the land. Nor are they to be observed and obeyed by the people, being contrary to their birth-right and freedoms, which by the Law of God, and the Great Charter of Privileges, they ought not to be. One hundred and thirty years later, another band of English radicals would write of compliance with the Laws of Nature and Nature’s God, and just powers being derived from the consent of the governed. Could American exceptionalism and its free government tradition have been built on something other than a Biblical foundation? Perhaps . . . but they weren’t. Thought Police. The modern Left, of course, not only rejects the Biblical basis of unalienable rights-theory, but in so doing, they have cast themselves into a pre-history sort of earth worship that rejects reason itself. Where Neolithic man dealt with natural phenomena as it arrived without warning in the form of rain, snow, storms, and floods, our modern educated ignoramuses believe THEY can control the weather. Now, those who believe themselves so endowed must be in a state of near-perfection; such men with god-like, divine attributes are naturally entitled to not only guide mankind morally and in society, but to command proper thoughts as well. Hence, the emergence in recent decades of campus speech codes which attempt to regulate young minds and deny to students use of their God-given reason. Like the Stuarts’ 1660s Clarendon Code, which precluded religious dissenters from public office, such is the corruption of modern Leftist regression that they seek to deny political and academic offices to so-called climate change deniers. As opposed to the early 17th century, when literacy and rational inquiry grew simultaneously, what is the state of literacy and especially inquiry in the US public schools and academia today? Does reason or indoctrination predominate? Like the Stuart monarchs, the Left prefers an illiterate and subsequently submissive society. Ignorant people are malleable; they are perfect for regressive indoctrination, of endless repetition of lies and half-truths that deny them access to the ideas that made the American Civilization they are programmed to despise. There is little time to stop the Left from rendering the faculty of reason no more than a vestigial organ. We are the many; our oppressors are the few. Be proactive. Be a Re-Founder. Join Convention of States. Sign our COS Petition.